Three German skiers have been killed in an avalanche in the Austria – and a fourth is missing, police said on Sunday as snowfall set in again in the northern Alps. 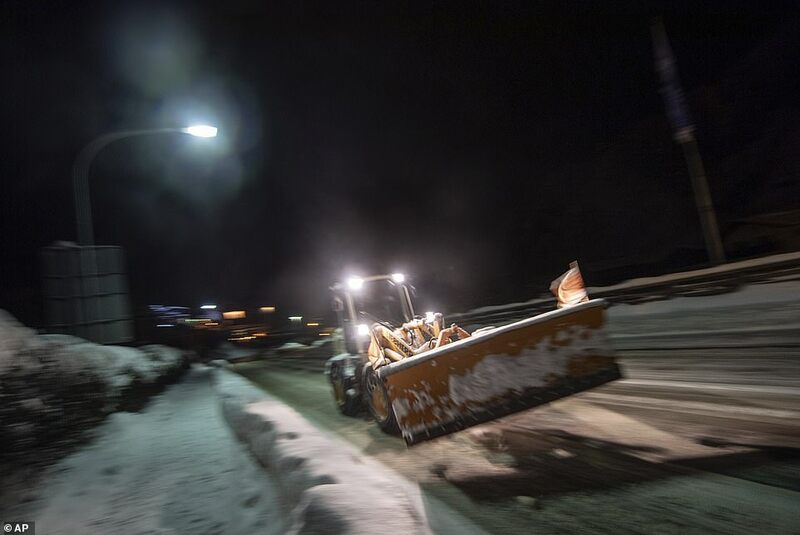 The bodies of the men – aged 57, 36 and 32 – were recovered on Saturday evening near the ski resort of Lech, a few hours after the wife of one of the skiers reported them missing. 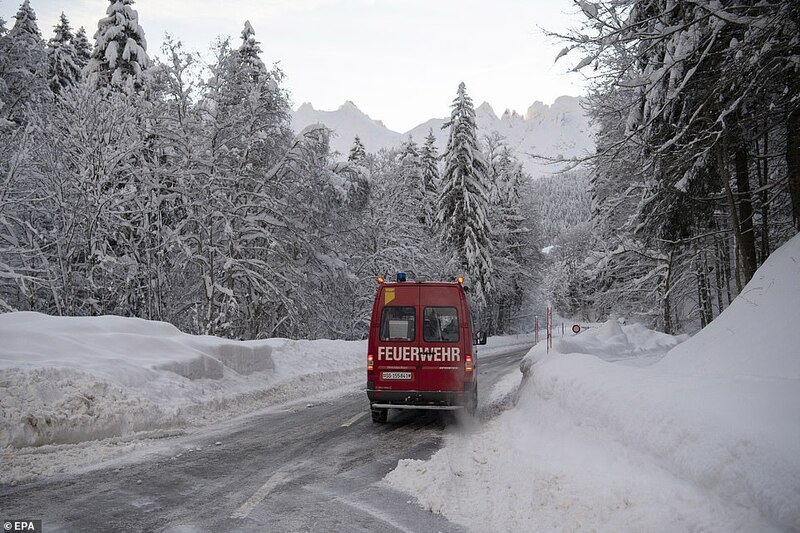 Police in Vorarlberg, Austria’s western-most province, said they had to call off the search for another missing German skier in the group, age 28, because of heavy snow and the risk of avalanches. The avalanche brings to at least 24 the number of weather-related deaths reported in parts of Europe this month. Police said the friends had apparently skied onto a trail that was closed. Although they had avalanche protection equipment and deployed airbags, the victims were buried by the avalanche and suffered multiple injuries. They were found with the help of phone tracking. 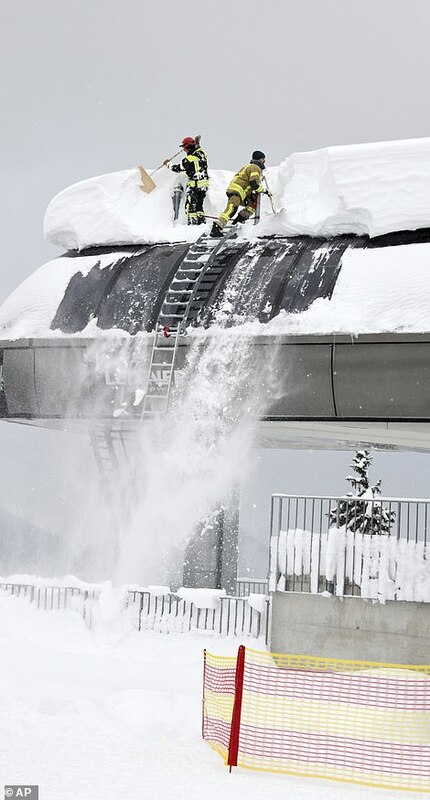 On Saturday, authorities in southern Germany and Austria used a break in the weather to clear heavy loads of snow from roofs and roads. But snow set in again on Saturday night. 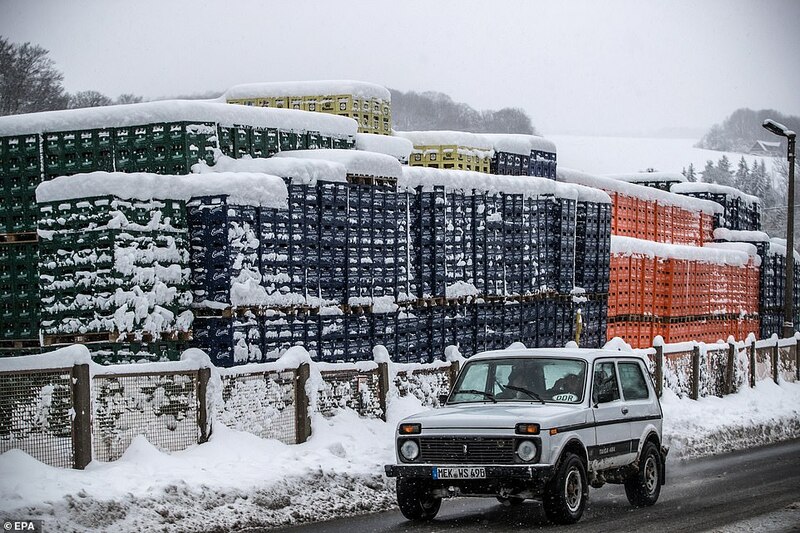 In the Bavarian town of Kempten, local authorities closed 11 sports halls as a precaution because the weight of snow on their roofs was expected to increase, the German news agency DPA reported. The blanket of snow is expected to remain into the middle of next week throughout central and northern Europe. In Britain, forecasters have warned of heavy frosts and snow after the recurrence of conditions which preceded the Beast from the East last winter. 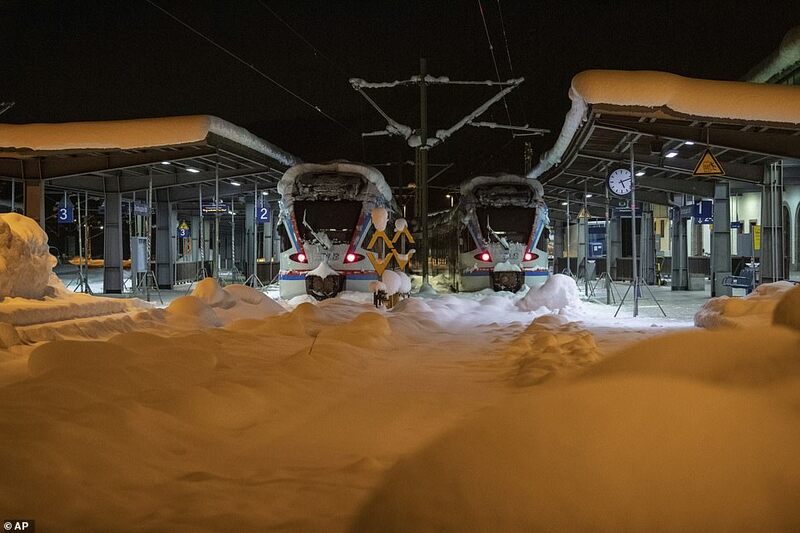 Trains between the German cities of Munich and Lindau, on Lake Constance near the Austrian border, were travelling more slowly than usual because of a risk of that trees weighed down by snow could fall onto the tracks. 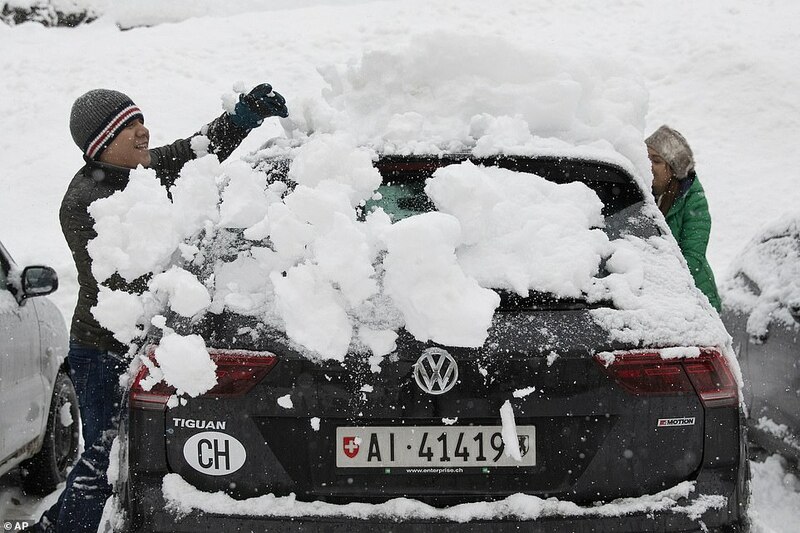 Heavy snow paralyzed much of Europe for yet another day, cutting off mountain villages, sparking avalanches like one that crashed into a Swiss hotel and killing at least four more people Friday. 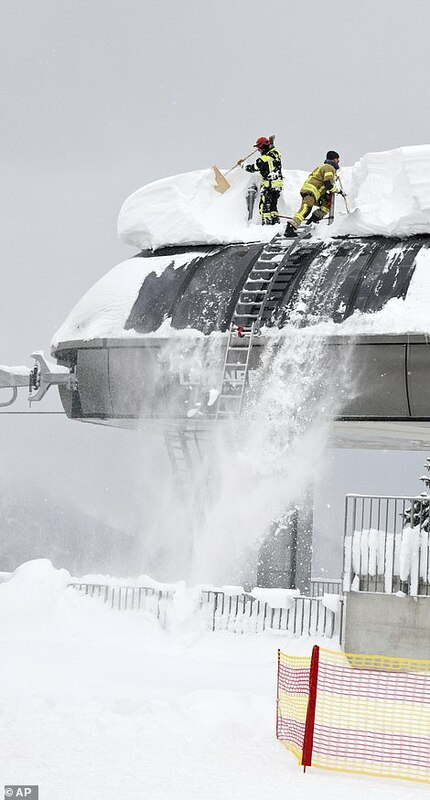 Workers at the Hotel Saentis in eastern Switzerland spent Friday shovelling out hip-deep snow after a 330-yard (300 meter) wide avalanche smashed through the hotel’s windows Thursday afternoon and piled up in rooms and the dining hall. 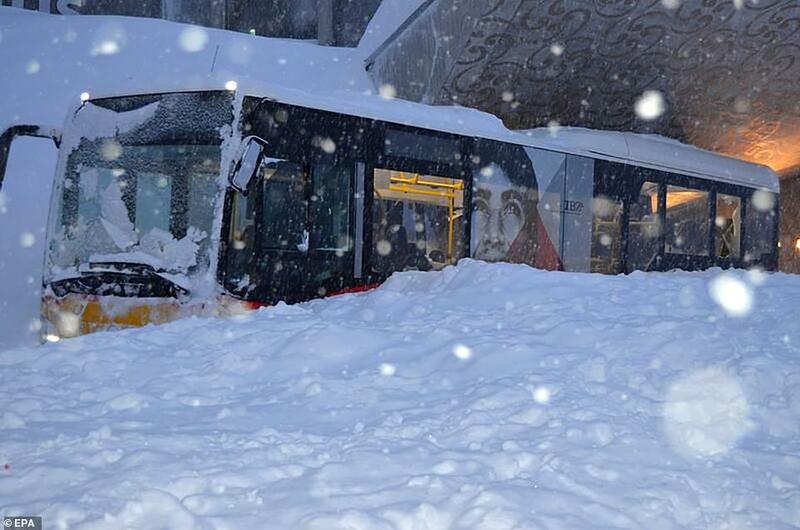 A state of emergency was in force across parts of Europe last night after the worst snowfall for at least 30 years. 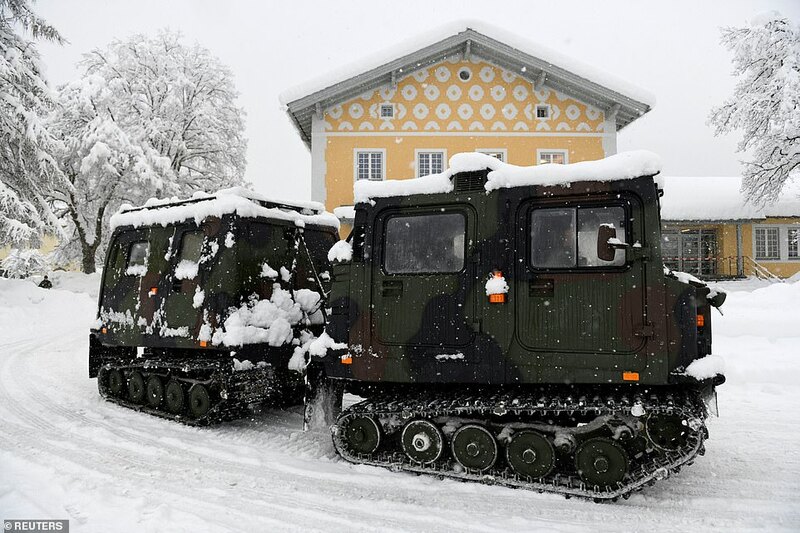 Tanks and troops were drafted in to rescue homeowners from neck-deep snow in Germany and Austria as the whiteout looked to continue past the weekend. 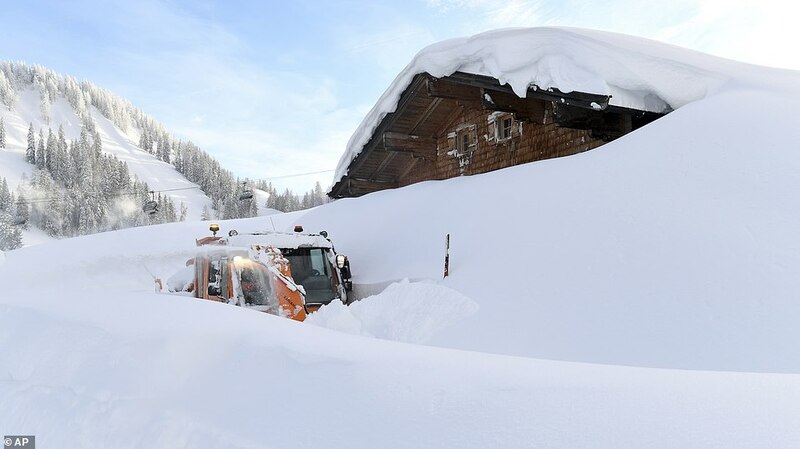 British skiers were among thousands facing long delays on their airport transfers to and from resorts in Austria due to road conditions, but travel industry sources said they had heard no reports of Britons snowed in or trapped. 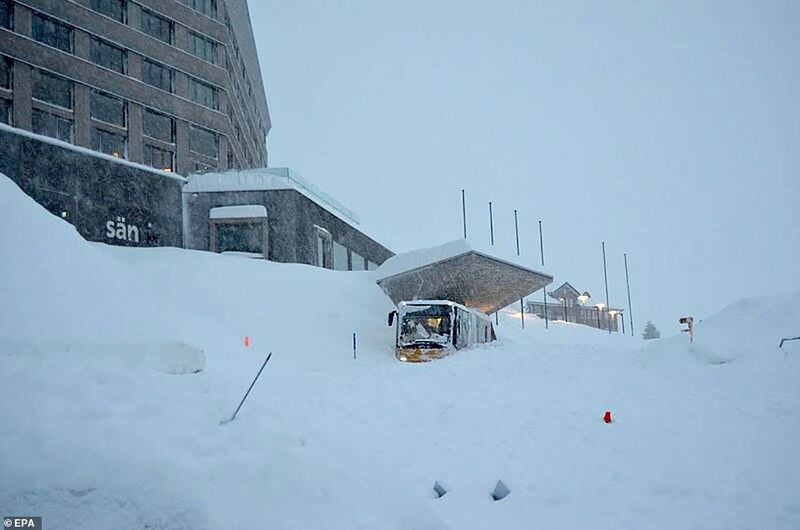 In Switzerland, a 1,000ft-wide avalanche ploughed through the front of a hotel while diners were eating. Three people were injured but miraculously there were no deaths. 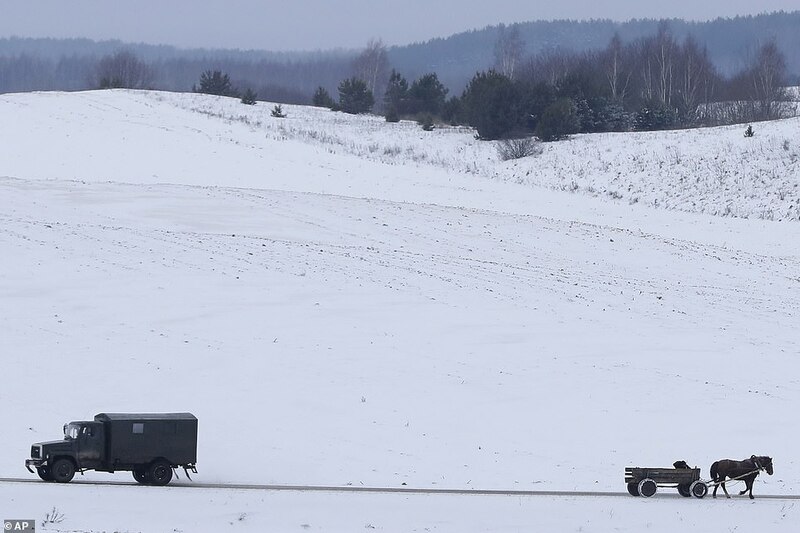 Parts of Europe have been paralysed in recent days with the snow cutting off remote mountain villages and disrupting transport. Avalanche warnings were at critical levels. The state of emergency was declared across much of southern Germany, with soldiers deployed to help trapped people. The army was also called in across Albania, Montenegro and Serbia. 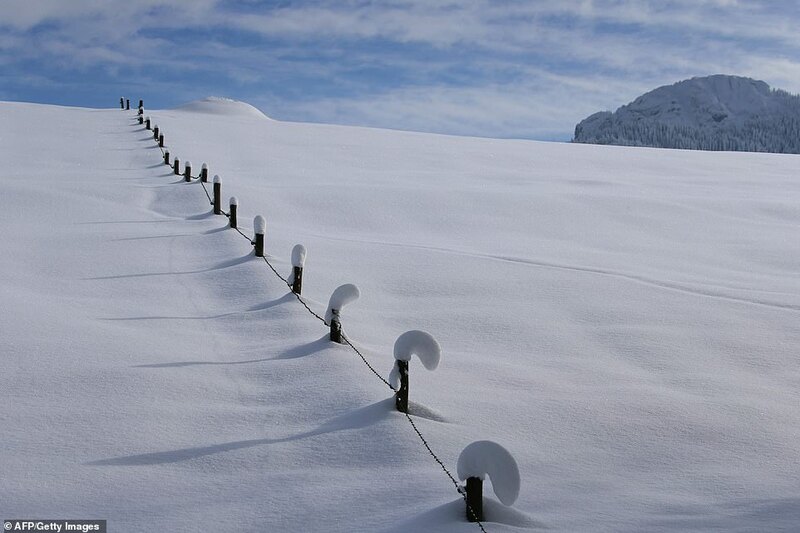 ‘Such quantities of snow above 800m altitude only happen once every 30 to 100 years,’ said Austrian meteorologist Alexander Radlherr. 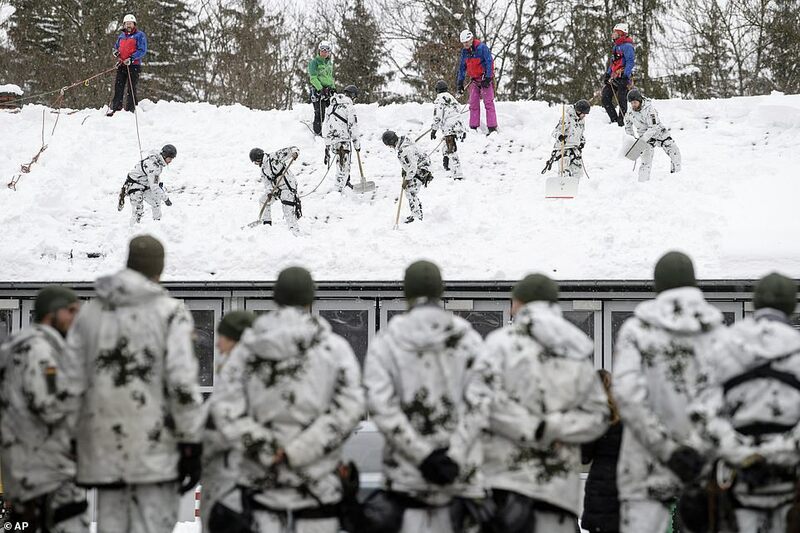 Austrian military helicopters on Friday rescued 66 German teenagers out of a mountain guest house where they had been trapped for several days. 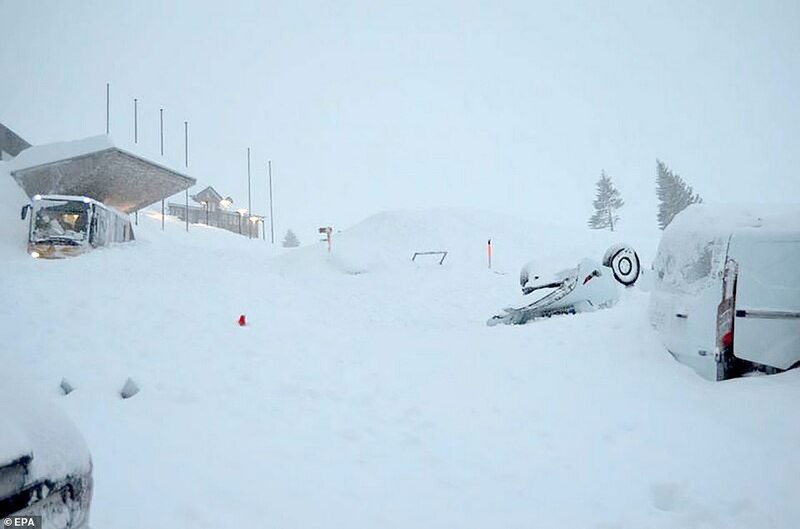 The snow is up to 10ft (3m) deep in parts of the country, where seven people have died in the past week. Two hikers have also been missing since last Saturday. The military used helicopters to blow snow off treetops to reduce the risk of trees falling on roads and train tracks. 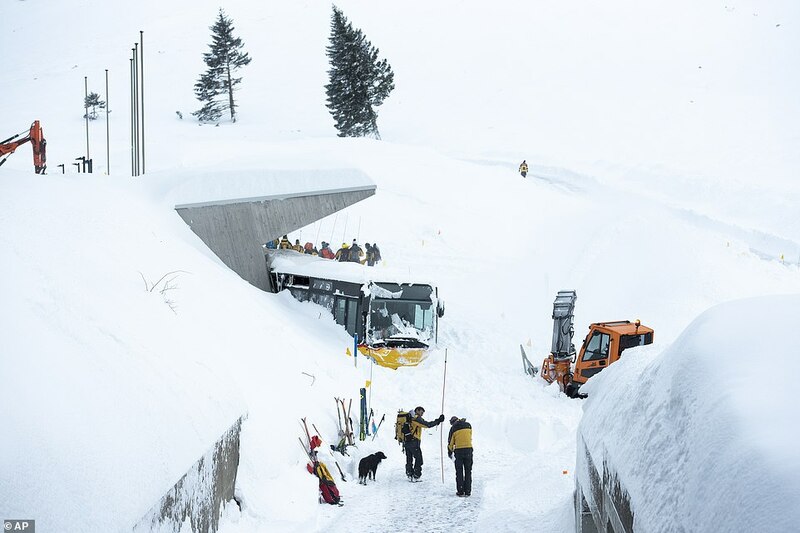 Sweden and Norway were hit by similar problems, while three diners were injured when an avalanche came down the Schwägalp Pass in the Swiss Alps and crashed into the Hotel Santis. One guest in the hotel restaurant said that initially he thought snow was falling from the roof. ‘There was a gigantic noise and the back area of the restaurant was engulfed in masses of snow,’ the guest told media. 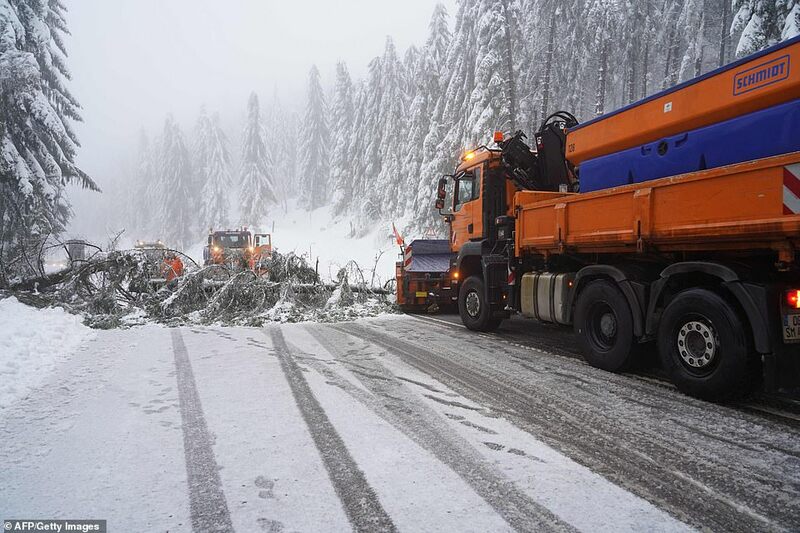 In Germany’s southern state of Bavaria, a nine-year-old boy was killed by a tree which collapsed under the weight of snow. It was 40 minutes before he was found and emergency services were unable to revive him. Meteorological Office forecaster Sarah Kent said: ‘We’re not yet sure whether the winds are going to come from the Arctic or Siberia, but it could become very cold. Rescue teams have been conducting searches in the avalanche area, which lies at the foot of Säntis mountain (back centre) – the highest peak in eastern Switzerland’s Alpstein massif. A British holidaymaker has died after falling from a chairlift in the French Alps. Jeff Martin, 65, collapsed on the lift after suffering a heart attack and then fell from the moving lift, from a height of 32ft. Emergency services tried in vain to resuscitate him for 30 minutes. 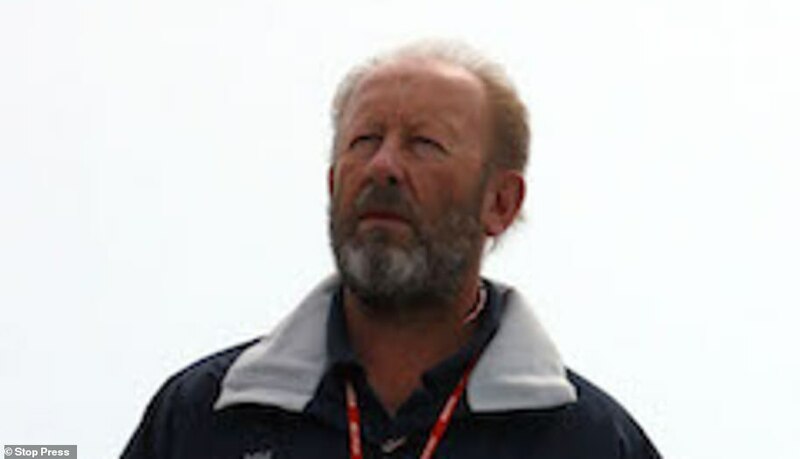 Mr Martin, an accomplished sailor who lived in Falmouth and officiated at the London 2012 Olympics, was on holiday in the ski resort of Méribel. He boarded the six-seater chairlift with a friend on Friday lunchtime, and they were the only two passengers. Less than a minute later, he was taken ill and then fell off the lift on to the mountain below. 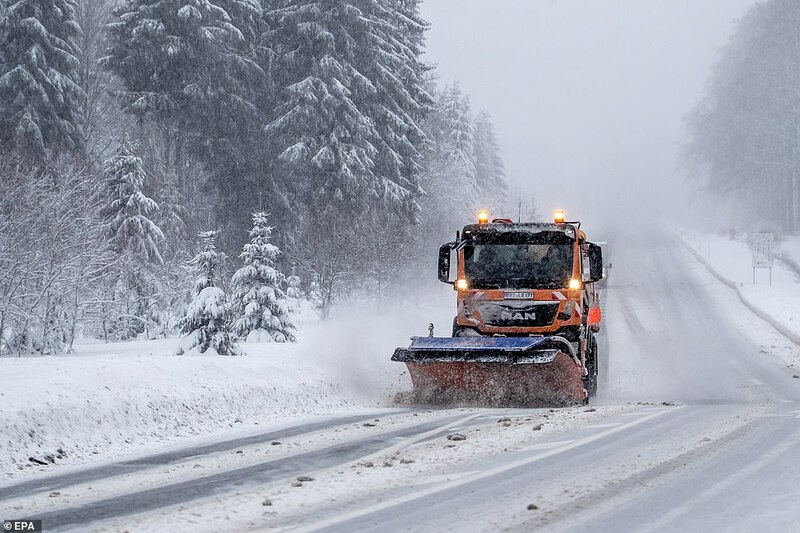 Several towns and cities in southwest Serbia introduced emergency measures, warning of snow piling up on the roads and sealing off mountain villages, Serbian state TV reported Friday. Most schools in the area closed down and 10 people had to be rescued from their homes. Strong winds complicated the work of emergency crews. In neighboring Montenegro, meteorologist Dragan Buric said the first 10 days of January have been among the coldest the country has seen in decades. “We have snow in January in the capital city (Podgorica) for the first time in nine years,” Buric told Montenegrin state TV. 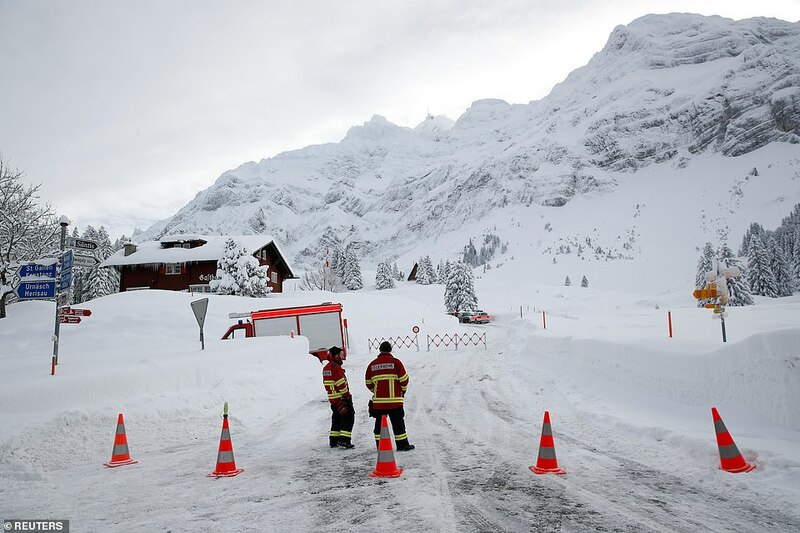 Three guests at an hotel in the Swiss alps were left injured on Thursday after an avalanche slammed into the restaurant around 4.30pm, burying 25 cars outside.